families. It’s easy to find information online supporting teacher-student interaction and family-student interaction, but not much is available on the third side of the triangle, the teacher-family interaction. Students are best supported when families and teachers are working together as a team. Part of building that team is families understanding how a teacher teaches, from standards, curriculum, and assessments to grading, classroom management, and social and emotional learning. What are the most important and complex ideas my child needs to understand by the end of the year? Be sure to check out the article for all 20 questions, or print out their handy graphic to take with you. 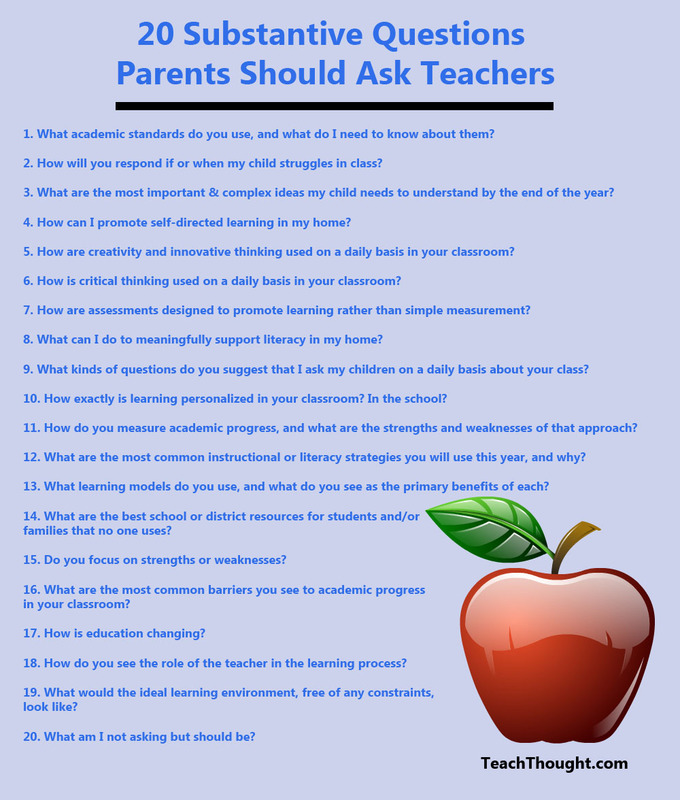 While you certainly can’t get to all 20 questions at Open House or during a parent-teacher conference, consider sharing the list with your child’s teacher and asking if there is a good time for the two of you to talk about them. The time to start building the teacher-family team is now, and this list of questions will help you be a better advocate for your child. Photo courtesy Innovation_School under Creative Commons License. This entry was posted in Advocacy, Family Engagement, Tips for Parents. Bookmark the permalink.